Often the hardest part of creating effective reports is deciding what information needs to be conveyed. Have you ever been given a vague idea of what questions need to be answered but aren’t sure where to start? 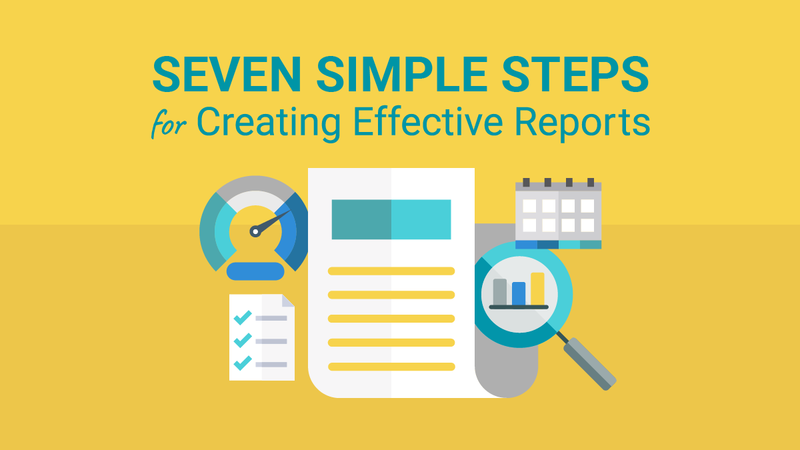 Read this post to learn seven simple steps to produce compelling reports. What information needs to be conveyed will change based on your audience. Start by defining your audience. What do they care about? How much time do they have to look at the report? What actions will come out of your report? Similarly, how reports are displayed should be specific to the audience they’re built for. For example, if you have a mobile sales team your delivery method needs to be mobile friendly. On the contrary, management teams in an office may benefit most from a set of revolving dashboards on a monitor or a TV hung on a wall. If a strong data refinement and warehousing process doesn’t yet exist at your organization, it can be unclear where data lives, how to get it, and how to present it. Usually, this queues the process of searching and asking coworkers where certain data is stored. Then delivering something you think looks right, only to have it be sent back along with a list of required changes. It’s easy to get overwhelmed and fall into an endless rabbit hole of ideas when presented with a problem. Writing down exactly what needs to be measured will help keep end goals in mind while bringing to light other important insights that may have been overlooked. Having a simple sentence or list of questions to refer to is a powerful tool to help keep your reporting on track. Companies rely on technology and data more today than ever before, and they depend on dozens of platforms to operate. This means to answer most reporting questions, data will have to be collected from different sources. To provide accurate reports there should be a “Single Source of Truth” for each department. For example, when reporting on website traffic and performance you should have confidence in the data you get out of Google Analytics. 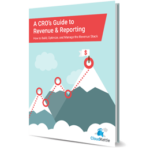 When looking at lead conversion rates your CRM, like Salesforce, should be the source. Getting to a point where you have a list of platforms that you can trust to provide accurate and reliable data is a crucial step. It’s easy to get comfortable with your favorite tool or platform, but it’s important to understand the available sources. For the past couple of decades, companies have been stockpiling data at unprecedented rates. Having petabytes worth of data can be both a blessing and a curse. While there are undoubtedly valuable insights to be gained from all this data it can be hard to know how to go about getting to these insights. Look back at your requirements list. What exactly needs to be measured? In what platforms can you find those data points? Once you have the relevant data points, are they all formatted so they’re easy to work with? For example, do some strings need to be converted to numbers to allow for aggregation? Are we considering any big outliers? Or, are there a bunch of date fields that your tool isn’t recognizing as dates? Once you have your relevant and standardized data points now we have to summarize that data or plot it to help spot trends or deltas. Segmentation goes hand in hand with refinement. Most analysts refer to measurable data points, like dollars of revenue, as metrics and descriptive data points such as geographic location of a sale, as dimensions. Segmentation is all about understanding the differences you can expect to see in your metrics based on different dimensions. That being said, it’s important to be able to filter reports by dimension. For example, if a marketing manager is tasked with generating quality leads from paid campaigns. When they look at reports such as the ROI on campaigns, they wouldn’t want to include any sales originated from a non-marketing source. Although the example above seems obvious, segmenting tends to be an afterthought that resurfaces when the report is actually delivered. As an analyst, it’s important to be asking these questions when defining requirements. Google Data Studio is a free visualization tool that can help expedite aggregating data from different platforms. It relies on internally and community built connectors coupled with excellent support from Google. These connectors allow you to easily pipe in data and do some refinement as well. New connectors are created all the time for platforms like MailChimp, Salesforce, etc. Google Data Studio does a great job of defining metrics and dimensions (which helps with segmentation) while allowing users the flexibility to declare their own. Dashboards and visualizations are a hot topic for good reason. When leveraged properly they are powerful tools for motivating a sales team or helping a manager take action before a larger problem develops. However, a report that lives on a dashboard is only useful if it’s actionable. For example, instead of looking at a Sales team’s performance quarter-over-quarter, make the report product specific, on a month-over-month timeframe for the past two months. This way a manager can spot trends or deltas and intervene accordingly. We hope you found this post helpful and the next time a request for a report comes in you have a better understanding of how to get started and what to keep in mind. 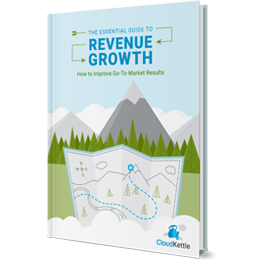 Have questions about how to create excellent reports or about leveraging data visualization? Get in touch today. We love to help people tell stories with numbers.